Piklab is an integrated development environment for applications based on Microchip PIC and dsPIC microcontrollers similar to the MPLAB environment. 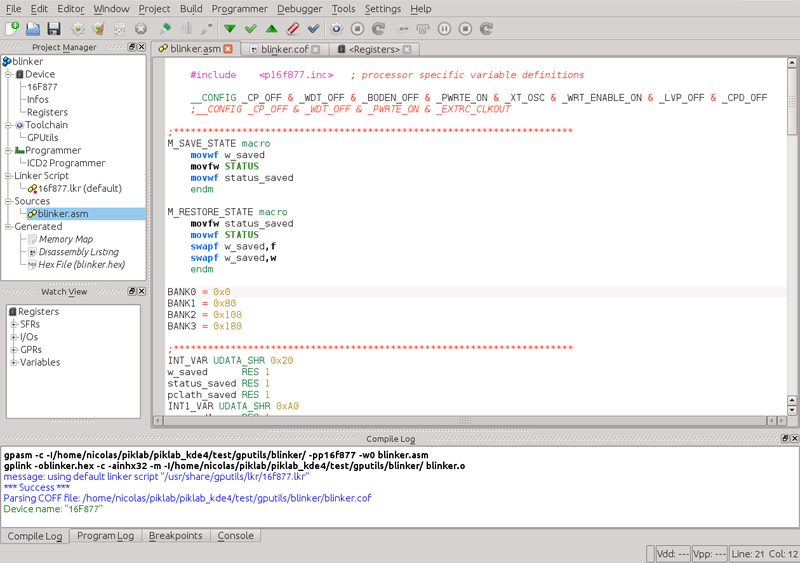 Support for several compiler and assembler toolchains, programmers, debuggers and simulators is integrated. A command-line programmer and debugger is also available.